We Help Resolve Disputes And Avoid Costly Consequences For Our Clients. We Provide Our Clients With The Personal Attention They Deserve. Our Goal Is To Effectively Provide You With Legal Solutions. From his office in Northbrook, Chicagoland attorney Alan Pearlman serves individuals and families throughout Lake County, Cook County and surrounding communities in the areas of family law, criminal law, DUI and traffic offenses. When you’re facing a difficult time, whether due to a divorce or child custody dispute, or an arrest for drunk driving or driving without a license, the law office of Alan Pearlman, Ltd. is here to help. 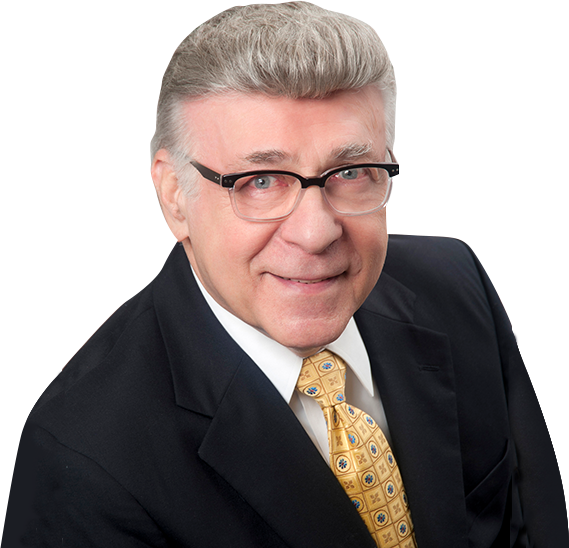 With 45 years of experience in the practice of law, you would be hard-pressed to find another attorney with the depth, breadth and length of legal experience possessed by attorney Alan Pearlman. Attorney Pearlman has made a living practicing law, but earning a living has never been the driving force behind what he does. Alan Pearlman entered the field of law because he wanted to make a difference by helping people. Mr. Pearlman truly cares about every single client he represents; he wants to make a positive difference in their lives by helping them find a solution to their important legal needs. Call Alan Pearlman, Ltd., and you’ll immediately understand the difference of having an experienced lawyer dedicated to your success on your side and working for you. Alan Pearlman, Ltd. will advise and represent you through every aspect of your Illinois divorce, including child custody and visitation, child support and spousal maintenance, and the equitable distribution of marital property. Our comprehensive Northbrook family law practice can further assist you in adoption or paternity proceedings, prenuptial agreements, domestic violence matters, or issues involving modification or enforcement of court orders, including pre-trial and post-trial motions. At Alan Pearlman, Ltd., we understand that a divorce may end a marriage, but it does not always mean an end to family relationships and interactions that may continue far into the future. We work to make sure not only that your interests are well-represented in any Illinois divorce, but also that the process does not leave you unable to continue to communicate and work with your co-parent and other family members throughout all the future life events you may continue to share. The criminal law practice at Alan Pearlman, Ltd. encompasses defense of a range of criminal offenses, including driving under the influence (DUI) and traffic offenses. People sometimes do not contest these charges, thinking they can simply pay a fine and put the matter behind them. People who do this are not thinking of all the negative consequences that can follow a conviction for DUI or other offenses – consequences which can continue to haunt them for years and place stumbling blocks before their path toward employment, housing, education and an honorable place in their community. One typical consequence of a conviction is the loss of a driver’s license. As a former Prosecutor and Hearing Officer for the Secretary of State, Alan Pearlman knows what it takes to get your license reinstated and can help you through this complicated process. We can’t predict the challenges that life will bring. We can, however, face these challenges and overcome them with the help of our family, friends and experienced professionals. Alan Pearlman, Ltd. is here to help you through life’s challenges in the fields of Illinois family law and criminal law matters. For immediate assistance throughout the greater Chicago area from a caring, knowledgeable and experienced attorney, call our office in Northbrook at 847-205-4383.